I have to admit I have not played MechWarrior Online yet, as I don’t have a good enough computer for it. But from the videos I have seen, I have been taken aback and happily surprised at what has been called The Thinking Man’s Shooter. I whet my online gaming whistle in the Team Fortress / Quake age in the early 2000s. My roommate and I shared the expense of a DSL in those days, and had an edge that people didn’t have back then: small unit tactics. It consisted of us yelling back and forth between rooms on what we were doing and requests, something you wouldn’t really see until the advent of Skype, Teamspeak, ect years later. Yes ‘Tom Servo’ and ‘Crow’ were quite the mischief makers on the old 2Fort map. It was a free-for all, with no way to coordinate tactics and learn technique, games consisted of Spawn-Kill-Die-Repeat and got old quickly. Despite dedicated voice features in modern online shooter games, it has still been mainly a free for all from what I’ve seen and heard. (My ex-wife does well for herself on a dedicated Battlefield team on X-Box 360. Then came MechWarrior Online. I don’t think it comes down to age, per se. Sarah Parries playing alongside her father Jon shows that even young kids can play MWO. But there is something going on. Most of the videos, by several different users, even some that don’t even speak English in the case of the 17th Recon, show players that are using team tactics in game to use their ‘Mechs effectively. It really makes me wish MWO had more than just a glorified Capture the Flag as an objective. Over at No Guts No Galaxy a retired Army Warrant Officer who served on M60 Patton MBTs has taken this to the next level and is posting actual Army Armor Field manuals and adapting tank platoon tactics for use with ‘Mech lances. The basic graphics really take my back to my junior varsity football days in high school. With Echelons, Staggered, and Heavy movements that the unit trains in beforehand so that the lance commander’s single phrase tells the pilots just what he needs done and right then. With Lance splits, I always imagined that the Lance Leader has an element or buddy team leader who would take over the lance in case the leader is incapacitated. But the team leader also has one of the younger warriors with him. They would have machines with similar capabilities so they can stay together. Lance splits can occur with mixed lances, with one team providing the base of fire while the other flanks, or in hunter-killer teams with one team flushing out and spotting for support fire from the other team. This is of course, also done at the lance up to regiment or even brigade level. But I digress. BattleTech was designed based on the same sort of wargames used not just by hobbyists but Westpoint cadets learning combat strategy. The diversions that videogames have made from the tabletop game appear to have come full circle. With a trained and unified team facing a gaggle of individual warriors, no disorganized mob can prevail in a standup fight. This has been the case since the days of the Romans up until the first Gulf war. From the Draconis Combine’s Takashi-era glorymongers to even Clan’s technical superiority was not enough to make up for units that refuse to work cohesively. I’m heartened to see a little bit of the real world creep into videogames. Especially with younger generations, I feel that this might at the very least introduce them to working together – something they can take with them to school and beyond. 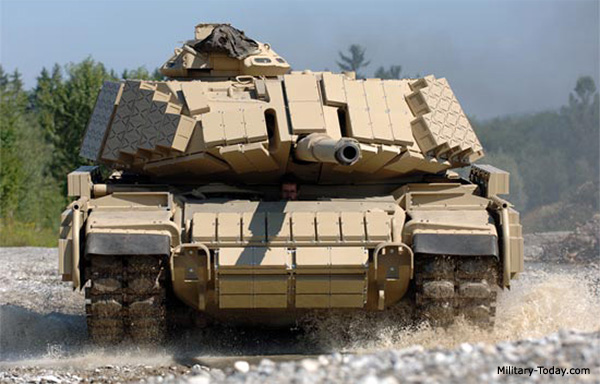 Perhaps eventually even a 21st century Main Battle Tank. It’s not West Point. But it might just impart something that’s been lacking in videogames thus far – people skills. This entry was posted in Community, News, Science, Video Games and tagged MechWarrior Online on 2013/08/15 by Ron.